Hardwood floors are gorgeous, but like all flooring, need occasional TLC. 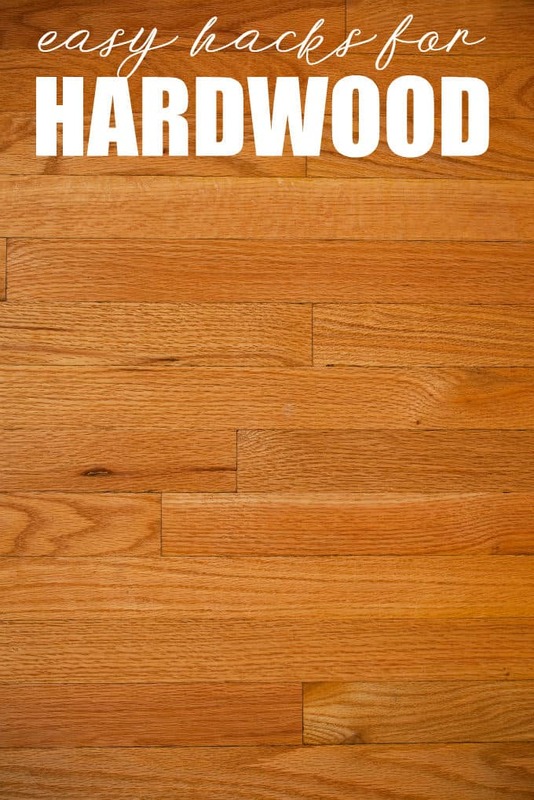 Do you love hardwood floors? I do. They’re cool in the summer, not too frigid in the winter, and they’re relatively easy to keep clean, adding a warm hue to any room decor. For anyone with a family, or pets, or both, they’re ideal. Even so, sometimes I think we take hardwood floors for granted. They’re not magically indestructible and, now and again, they require a little fix up. These are quickly and easily done, if you know how, and if you keep reading, you’ll learn how! The first magical tool is a … walnut. Really? Yes! Shell a walnut and rub a piece of the nut on to the scratch. The oils in the nut will help it to hide the scratches. If you have a more than a few scuffs, Magic Erasers work very well, but if you’re looking for a more natural solution that has a similar effect, try vinegar and canola oil. No, you’re not making salad dressing. Just mix one part vinegar with three parts canola oil (you can also use vegetable oil), wipe on to the scratched areas and rub it in well. That’s it! Something sticky on the floor? This hack works on carpet too; all you need to do is put an ice cube on the gummy substance—let’s just assume it IS gum—and freeze it. Instead of having to wait until it dries up and hardens, the ice will allow you to take a scraper or anything with a hard plastic edge and scrape up the goo. This is an issue regardless of what kind of flooring you have but what you want to be careful of is: 1) odour retention and 2) staining. Odour retention is a two fold problem with puppy training. If the puppy smells it’s pee in a spot, it’s more likely to go there again! Secondly, a section of flooring that has gotten a regular sprinkling from Spot will smell, particularly in warmer weather. Even treated hardwood flooring is more porous than vinyl flooring, so In order to make sure that you get rid of odours fully, blot up the puddle as quickly as you can and sprinkle the area with baking soda. Don’t be chintzy with it: you’ll need a good amount to neutralize the odours. Let it sit several hours to absorb the wetness. If it’s not doing the trick, you may need to move to an enzyme based odour eliminator, which literally breaks down the odour enzymes in the urine crystals. Stains can result because of the ammonia in urine. A good solution is to spray some hydrogen peroxide onto the affected area and cover it with a damp cloth. Check it every once in awhile, to see if it is lifting the stain. Test your hardwood finish with the peroxide in a hidden corner first: it can have a bleaching effect and you wouldn’t want to to damage a dark, gleaming hardwood, right in the middle of the room. Speaking of dark hardwoods, a tea scrub is great way to add some shine and luster. The tannins in black tea do the beautifying, and the polyphenols that it contains have antibacterial properties, making this concoction a good cleaner as well. Steep five or six in four cups of boiling water for about ten minutes. Let the mixture cool and then use a rag to spread it over your floors, or put it in a spray bottle and give the area you want to cover a spritz! Mop it up afterwards as excess moisture isn’t good for any flooring! Just remember that this is intended for true hardwood flooring, not laminates! While this is well known to work with unfinished woods, that’s not what most of us have in our homes. Finished woods need a quick test in a less visible corner before you try this on a deep dent in the middle of the room, but it’s a great solution to avoid sanding and refinishing a whole area. Simply place a very damp rag over the dent, and with an iron set at high, go over the area covered by the rag. The steam created is what works on the dent, to pull it back out. It can take a couple of minutes, so don’t leave the iron flat on the surface, but keep it moving and check under the rag every once in awhile for improvements! Start with a 16 cup container that closes (3.5 litres) and fill it with water, about 2/3rds full. Add twenty to thirty drops of your favourite essential oil. Citrus works best (lemon or orange), leaving a clean scent that isn’t overpowering. Close up your container and shake the mixture with all your might: it’s a workout too! Now you can add a cup of your mixture to about 3 litres of hot water and mop away! A great way to make sure you don’t have to put any hacks into use, other than cleaning, is to avoid any damage in the first place! With hardwood floors, the greatest issue is furniture and floor lamps being dragged instead of lifted, when being moved around. Put little felt stickers on anything that might be moved across the floor: chair feet, sofa feet, table legs, little kids… Okay, no felt stickers on that last one, but there’s something to be said for asking guests not to wear their high heels on your hardwood floors! Another cool option is to use pieces of cork. Simply cut the cork into slices—about an 1/8th of an inch to ¼ of an inch—and glue them to chair feet. Hardwood flooring is absolutely gorgeous, when it’s in good condition, so keep yours that way and make some of these hacks part of your ‘must try’ list! You might also like these window cleaning hacks and wall washing hacks. I also share how to remove candle wax from a carpet. Do you have any hacks for cleaning / repairing hardwood flooring that have worked for you? Some really good tips, think I might have to try the tea one out. We will be building our new home this summer and these are great tips to protect our new hardwood and keep it looking good! Thanks! I have heard of using a walnut for little scratches and it works great. These are such good tips for taking care of a hardwood floor. I am going to use some of these hacks, especially the one about using a walnut to fill in the scratches! Thanks fr the great tips and ideas we have hardwood right through except the bath and laundry room i love it !